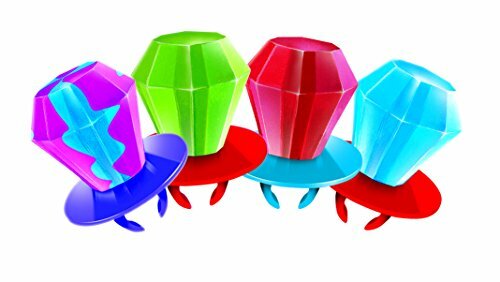 Ring Pop is the ultimate iconic wearable lollipop with an enormous eye-catching candy gem that tastes as good as it looks. 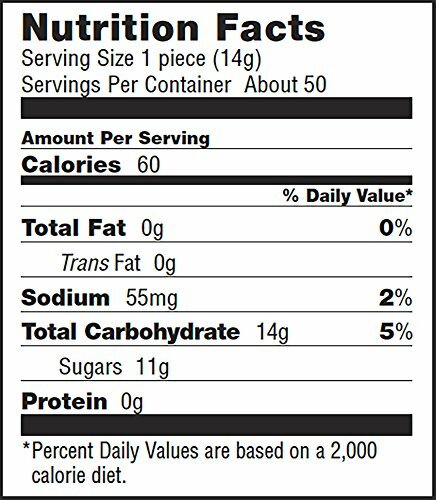 Slip it on your finger and enjoy the flavor–and the attention! 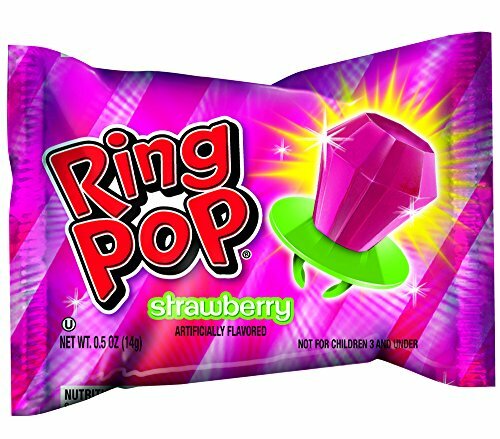 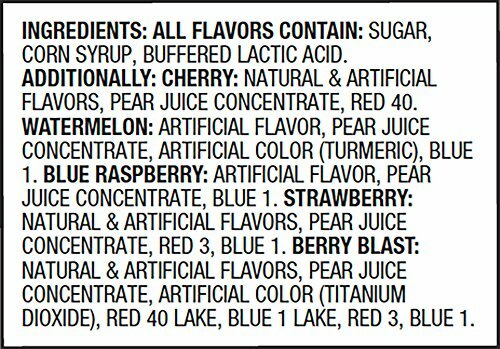 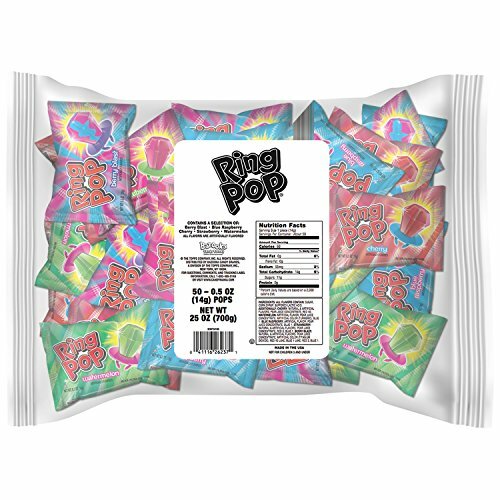 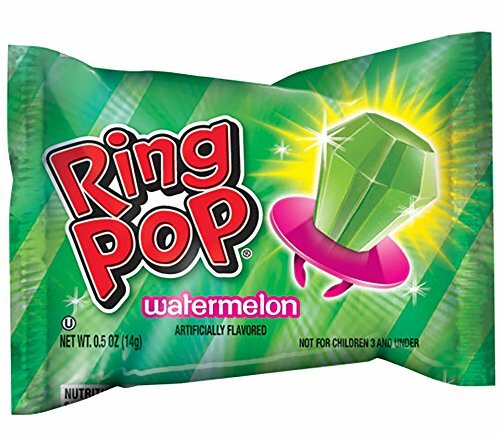 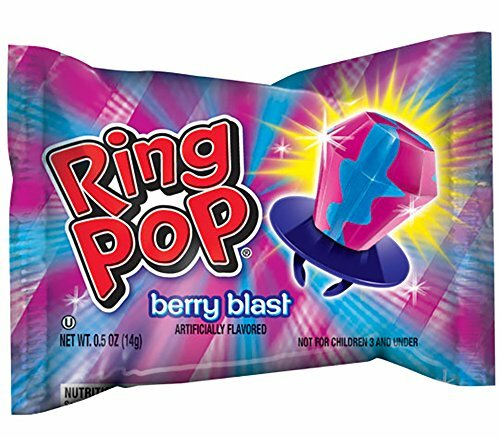 Each bulk bag includes 50 0.5 Oz individually-wrapped Ring Pop lollipops in a selection of 5 assorted flavors – Cherry, Strawberry, Watermelon, Blue Raspberry and Berry Blast. 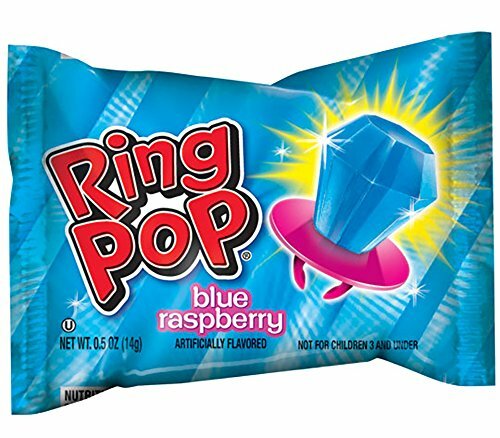 Ring Pop lollipops are the perfect accessory for kids and the perfect treat for any birthday party, party favor, wedding, engagemet, bachelorette party, bridal shower, baby shower, graduation and any other celebration!